When I was a kid I didn’t see race.. let alone, color. Granted, that could have been due to attending an all black school from Kindergarten to 12th grade. At my Pre-K graduation I played Cinderella’s fairy Godmother (a.k.a Whitney Houston) in our stage play. I clearly remember walking onto the stage with my plastic wand and reciting my line, “I’m your fairy Godmother honey, got a problem with that?”. I remember being so proud not only because my family was watching but because I’d seen the “black version” of Cinderella countless times. “Whitney would have been proud of me” is what my five-year old self thought as I stood there. Brandy playing the role in a beautiful tale that we were all familiar with subliminally empowered little black girls like me. Outside of Cinderella, Tyra Banks in ‘Life-size’ playing a beautiful Barbie come to life was intriguing. Their faces throughout my childhood silently empowered the brown girl that I was. I don’t know where I lost it… but then again, I’m not sure if anyone ever knows the exact moment they stop loving themselves. I don’t know if it was the teasing from classmates calling attention to my skin tone and small size or maybe it was the transition in mainstream media. 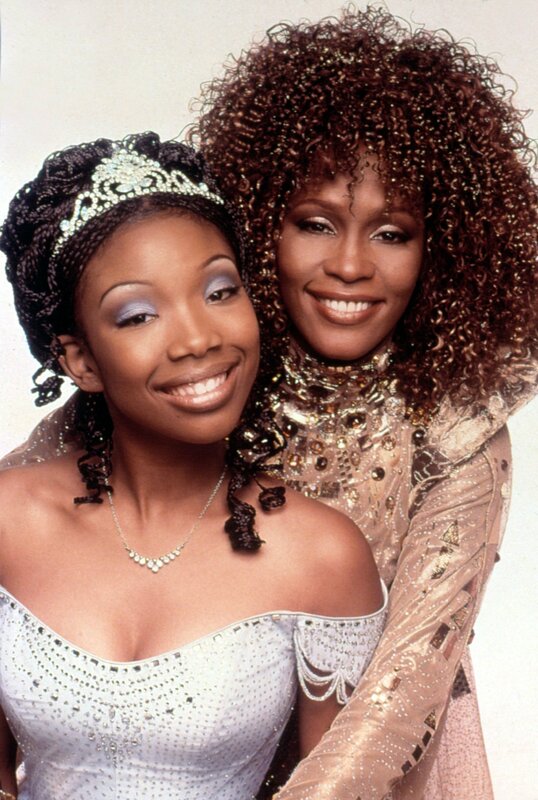 Brown girls like Brandy in Cinderella and Tyra Banks in Life-size were replaced with bright skinned women whom I could no longer relate to. The standard of beauty was shifting and when I could no longer see similarities between myself and images in magazines and television I thought, “I’m not pretty”. Being honest, it wasn’t until recently that I began to recognize black beauty for what it truly was. One thing that helped me with that was the resurgence of black women in mainstream media. This is why representation is so important. When people of color are able to see others that look like them accomplish certain feats, break boundaries, and acknowledge their roots all the while… there’s a beautiful result: Self-Love and Liberation. A few women who I’ve been following are Issa Rae, Ava Duvernay, Yara Shahidi, Solange, SZA, Duckie Thot, and Rutina Wesley. All of them have significantly impacted myself and other women in the black community, all for different reasons. Issa Rae and Ava Duvernay have brought to life what it means to be creative storytellers in today’s world. I watched Awkward Black Girl when I was a middle schooler dealing with the effects of not being the stereotypical black girl. I related to Issa’s character, and to see her transition from YouTube to HBO has been inspiring to say the least. Ava Duvernay has shown me what it means to be a powerhouse director while telling authentic stories, hence her work in 13th and Selma. Although most of their work is behind the camera, onscreen actresses like Rutina Wesley, ‘Queen Sugar’ star and Yara Shahidi, ‘Blackish‘, have given characters new meaning. Finally, women like them and others are portraying multi-dimensional characters on television and the big screen. Instead of the typical, angry black woman typecast, these are women who have stories and character development that we have not seen in years. SZA and Solange, have surely set the bar for what it means to be a carefree black girl. With their hair, clothing and strong personalities, both women have given us music to cry to, dance to, and embrace our magic in ways we couldn’t have imagined. ‘Cranes in the Sky’ and ‘CTRL’ are both essentials in every black girl’s music library. (When I’m having a rough day at my predominantly white university, you can bet I’m playing at least one of these albums later) Lastly, Duckie Thot… my spirit animal. After being criticized for her complexion, she took a 2 year break before returning with vengeance. Just recently, she became a face of Fenty Beauty (Rihanna’s new makeup line), and walked in several New York Fashion week shows. She’s shown me that no matter what people have to say, what you think of yourself is all that matters in the end. So, no longer is it enough to let the standard of beauty in the black community be women with long flowing weave, bright skin and voices soft enough not to shake the table for the sake of white people’s comfort. It’s time for the world to see us as we really are, varying in shades, hair textures, dialects and personalities because representation matters. Always has. Always will. From me to you, Black Love.